There are few things that can cause more packing and storage worries than furniture. Your home or workplace furnishings can be some of your most valuable possessions and they can also have the greatest sentimental value – so you want them protected. Damaging furniture during packing and storing can be costly if items have to be replaced, or can make areas of your home or office look shabby once items are unpacked. A.B. Richards knows how important your furniture is to you – that’s why to have portable storage containers for rent that are durable. They’re made of 14-gauge steel, which can support a maximum gross weight of 44,800 pounds. They’re also weather proof and secured by a high-quality lock. We’re committed to providing safe storage for your belongings, so we want to give you some tips on packing and storing your furniture right. A good first step is to check the condition of your furniture before it’s packed. Angie’s List advises making any necessary repairs needed before storing furniture. You might also want to consider disassembling larger items in order to create more space. Most furniture can be put back together, but you do take it apart, it’s a good idea to put any nuts, bolts or screws in a ziplock bag for when you reassemble items. Disassembling wooden furniture is recommended, according to the San Francisco Chronicle. Precaution must also be taken because wood furniture dries out. You should clean and wax wood furniture to add moisture to wood. One of the more difficult items to store will be a fabric sofa. The Chronicle recommends that all of the fabric should be wiped down using an antimicrobial cleaner before the sofa is packed away. 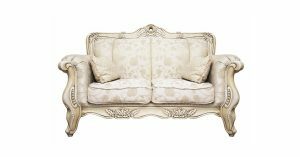 You should also polish wooden and metal parts to the sofa using a clean rag. If you have removable sofa pillows, put them in a plastic bag or wrap them in plastic. It’s a smart idea to take any legs or parts you move and place them in a bag or box after wrapping them in bubble wrap. When you’re ready to place the sofa in the storage unit, you should set pallets down on the floor and cover them with a tarp or thick plastic. Place the sofa on the pallets and wrap the couch in plastic, making sure it’s not in direct contact with a wall or near any objects that could damage it. Finally, place a drop cloth or sheeting over the sofa to protect them from dust. Lining the floor with plastic is also a good precaution, according to Angie’s list. You should then stack items based on their size and weight. Don’t try to balance furniture awkwardly on top of each other. Larger items go on the bottom, and smaller items go on top. Beware of items that have sharp edges, or mirrors or glass and appliances that may be fragile. Whether you’re packing furniture, work supplies, records, or just about anything else, A.B. Richards has the portable storage containers you need. All you have to do is pick a container, order it, and we’ll do the rest. A.B. Richards will deliver it to you… and we’ll also pick it up! To get started, contact us today.